Google queries are a great way to understand customer’s unsaid requirements.Customers usually search for information they need. This can be used to understand customer needs better much better than any other methods as they most likely look up to find a tool/software that can solve their unmet need. Create a really long post on the key topic around your business. Target to have a post that is of 2000 words at minimum. This will ensure that you will cover most of the aspects of the product you are selling. Also, Do ensure that the content actually helps people who would want to understand the market. While you sign up you may need to need to do some steps to show that you own the website. 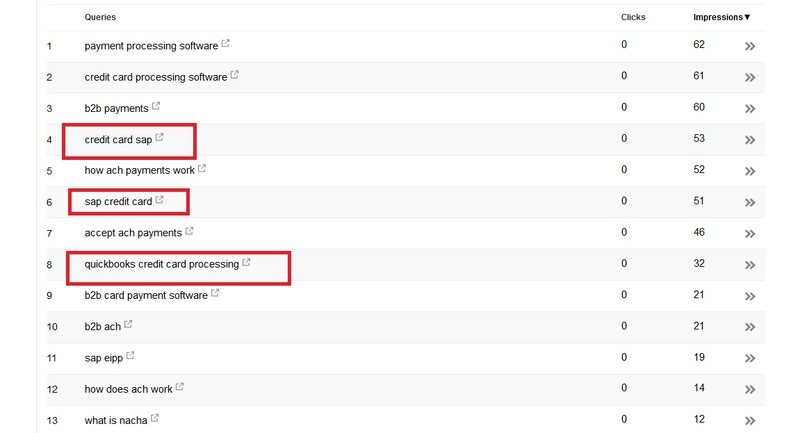 It may take time for Google to start showing these queries in your dashboard.in our case it took up to a month! For eg, if some users search “credit card processing software” they definitely are looking for some credit card processing software. Duh! These are the unmet user needs we found out! How do we know these are unmet? Repeat the above.Target new keywords that keep appearing on your Google webmaster feed and keep analysing the keywords that come up . Although the above method works for requirements that are known and spoken/ searched there might be a lot of requirements that are unspoken.The above method can’t definitely help you with finding those needs but it can help you direct your thinking to uncover those needs. Unspoken requirements will need lots of research, understanding of the space and your analysis skills.